Boring with culture and historical sites from Japan ? Try heading underwater. Japan may be not the best diving in the Asia like in Thailand or Maldives. But don't forget Japan is a country full of island, a narrow archipelago with 34,000 kilometers of coastline and more than 2,000 diving points. 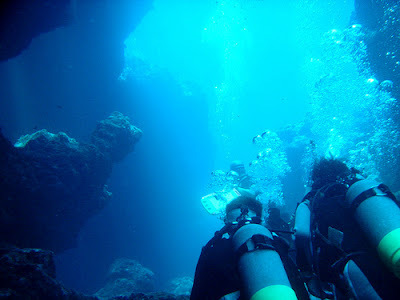 Saying diving in Japan, this place should be the best : Izu Peninsula. Izu Peninsula is the best choice for diving in Japan, as well as Ogasawara Islands, Hokkaido and Northern Japan, and Okinawa. 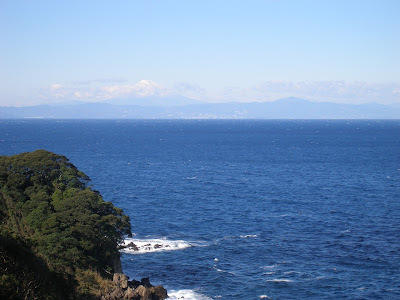 Izu Peninsula (伊豆半島 - Izu Hanto) located in Shizuoka Prefecture, is only an hour by train from central Tokyo. It includes both Japan's first dive spot - Izu Oceanic Park, on the east coast - and the best on the main island of Honshu - Osezaki, on the west coast. The shinkansen links Tokyo to Atami in about 50min (around ￥3,600). Regular trains make the trip in about 1h40min and cost ￥1,890. Several train lines (Shinkansen, JR Superview, JR Ito, Izu Kyuko...) link Izu's towns. As times and fares depend on the line and connections, you had better check Yahoo Transit or Ekitan from our Transportation in Japan page for exact fares and timetables. Atami is a city located in the eastern end of Shizuoka, Japan. Atami is a hot spring city with shinkansen station at the entrance to the Izu Peninsula. While the city is attractively located on the steep slopes along the ocean coast, it has obviously suffered from the economic downturn of the 1990s. Ito is a city located on the eastern shore of the Izu Peninsula in Shizuoka, Japan. Ito is another hot spring city along the peninsula's eastern coast, only about 15 kilometers south of Atami. Inside Ito's municipal limits lies Izu Kogen, a pleasant resort town with more hot springs and the nearby scenic Jogasaki coast. 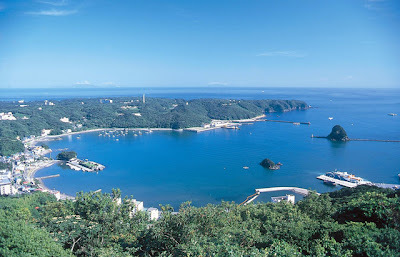 Probably the most pleasant town to stay in the peninsula, Shimoda is also the most interesting historically. 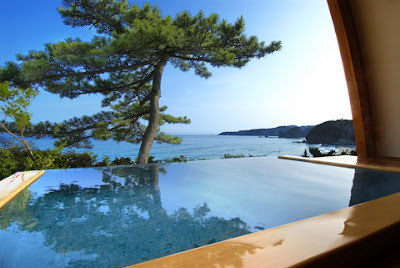 The Shimoda Hot Spring is the collective name of the hot springs (Rendaiji, Kawachi, Shirahama, and Kannon Hot Springs) in Shimoda City, the closest resort area from the heart of Tokyo located in the southeastern port town of the Izu Peninsula. This is where Commodore Perry and his Black Ships first came to Japan to negotiate the country opening of its port to US ships. In 1854, the the Shogunate and the US signed a Treaty of peace and amity, which effectively ended Japan's 250 years of self-imposed isolation. Consequently, Shimoda was, along with Hakodate, the first port open to Western ships. The first American consul, Harris Townsend, established his consulate in Shimoda in 1856. 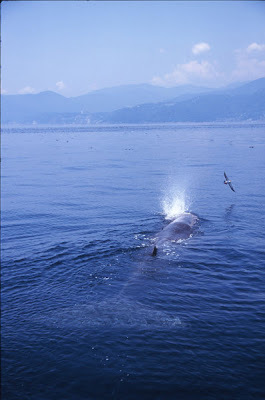 Diving at Izu is done year-round, but conditions are highly variable. In summer and early autumn, water temperature may reach the low 80s, underwater visibility is typically 15 to 30 feet and popular dive sites can be extremely crowded. In winter, water temperature may drop to the mid-50s, visibility increases to 40 to 80 feet (even more at offshore islands), but the weather can be less reliable. Dry suits are highly recommended for winter diving at Izu. 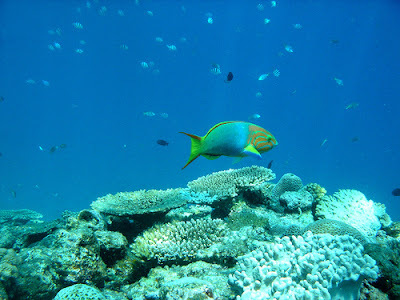 - Mar Scuba Tokyo; Phone: +81 (0)90 3851 3901; Email: matt@marscuba.com; Website: http://www.marscuba.com Mar Scuba Tokyo is the longest-running English dive operator in the Tokyo area and offers fun dives and courses at various locations throughout the Izu Peninsula. 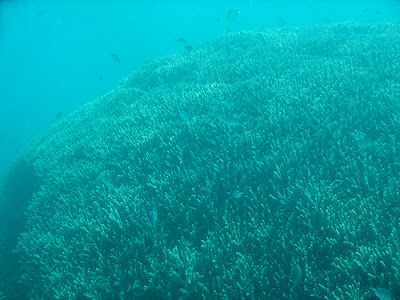 - Japan Underwater Explorers; Email: info@jue.jp; Website: http://www.jue.jp J.U.E. is a recreational and technical dive club/service offering multi-lingual training and fun dive adventures. Japan's premier GUE training service. Located South-West of Tokyo and right South of Mount Fuji, the Izu Peninsula faces the Pacific ocean and is part of the Fuji-Hakone-Izu National Park. Shimoda Hot Spring. The Shimoda Hot Spring is the collective name of the hot springs (Rendaiji, Kawachi, Shirahama, and Kannon Hot Springs) in Shimoda City.